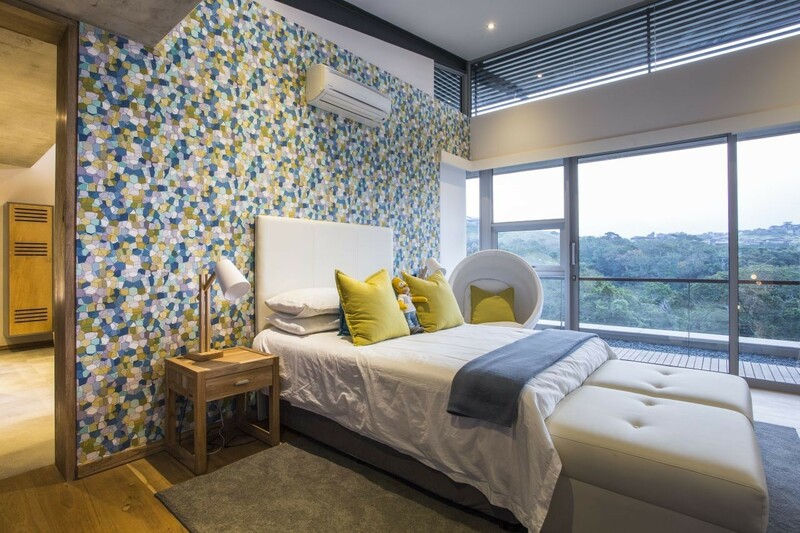 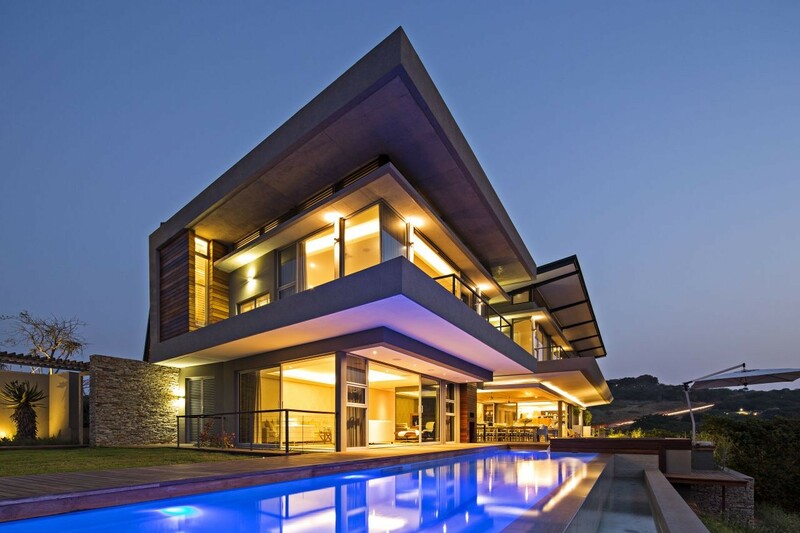 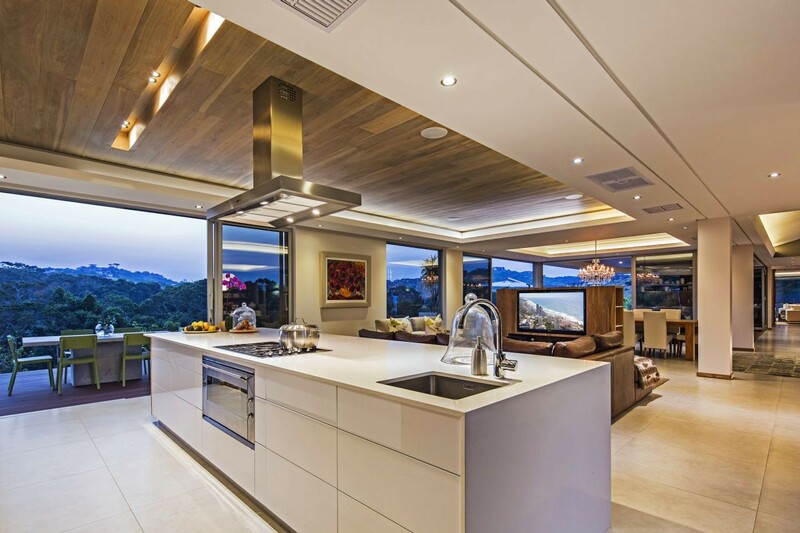 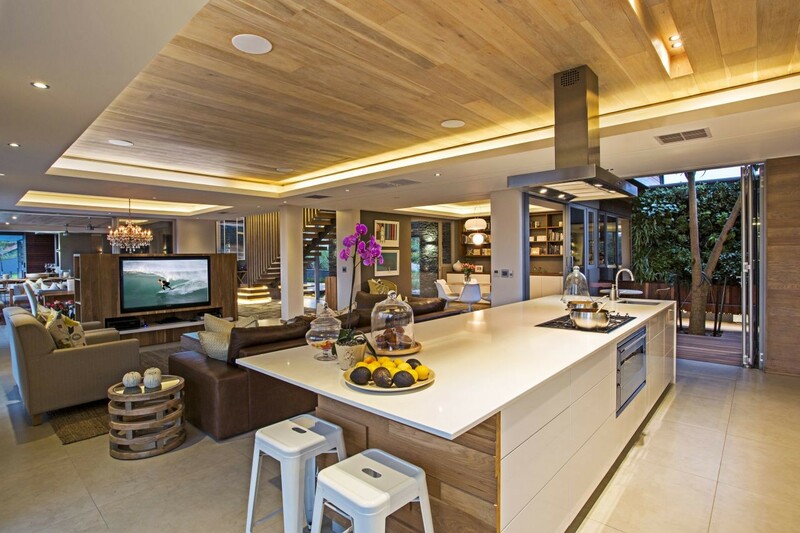 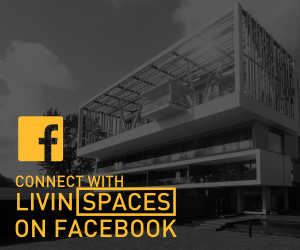 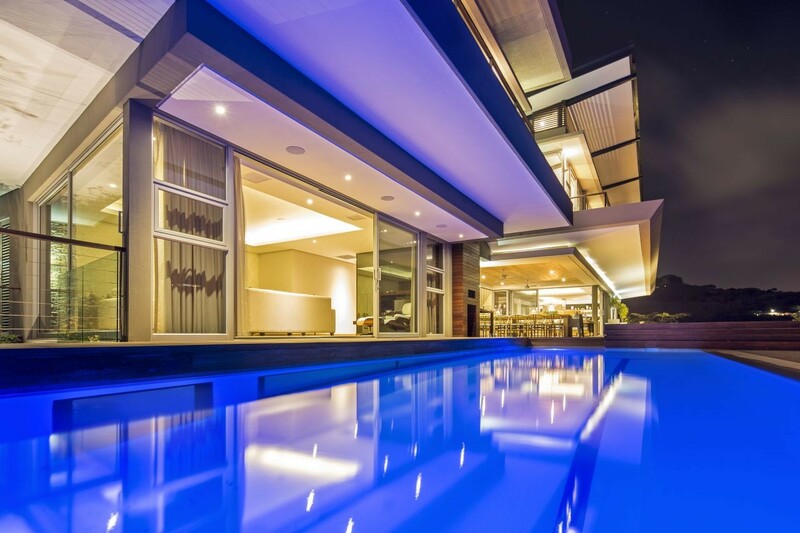 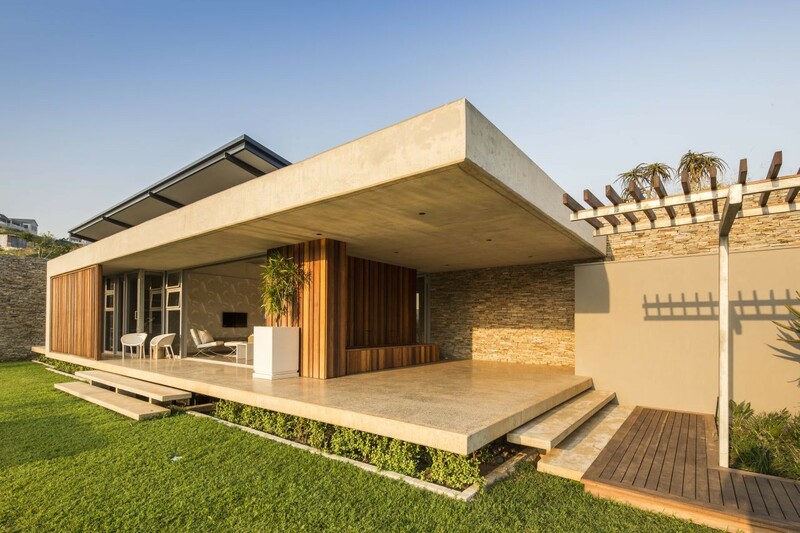 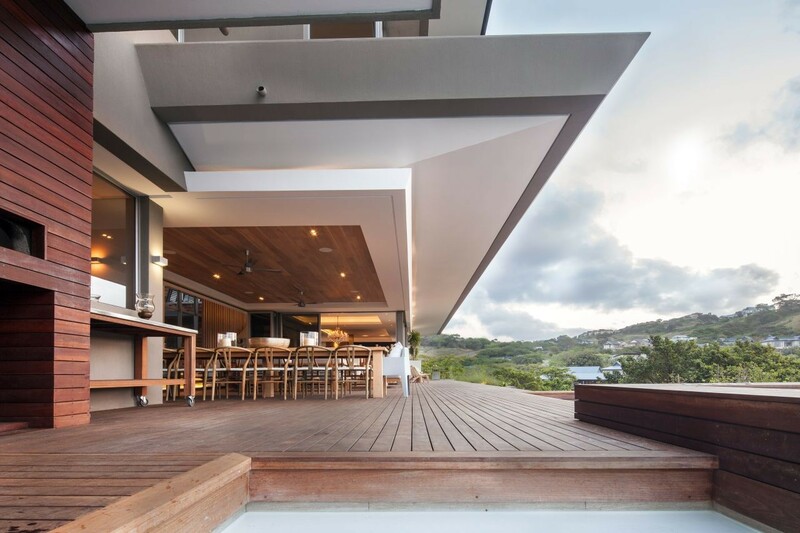 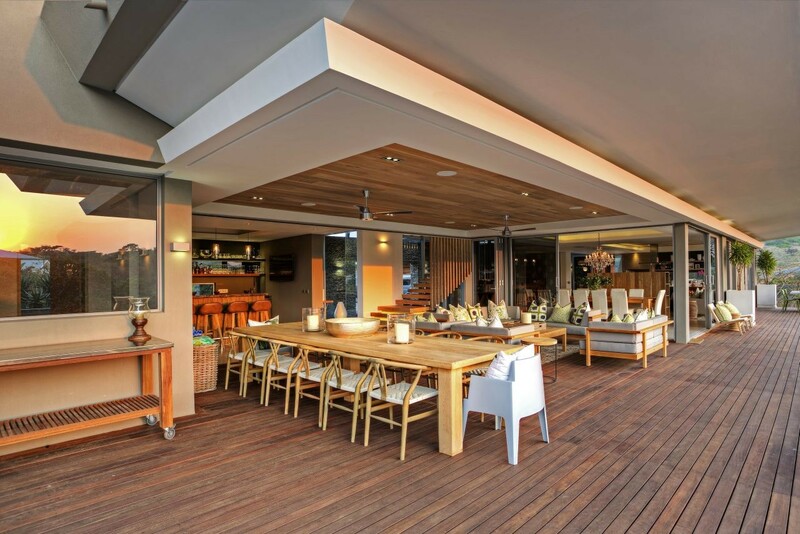 The Albizia House by Metropole Architects is an expansive five bedroom home that places a premium on privacy, security and living experience. 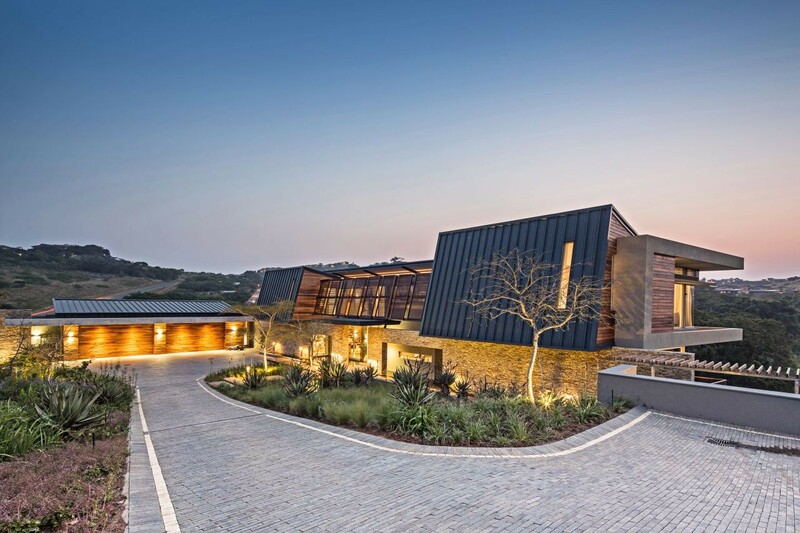 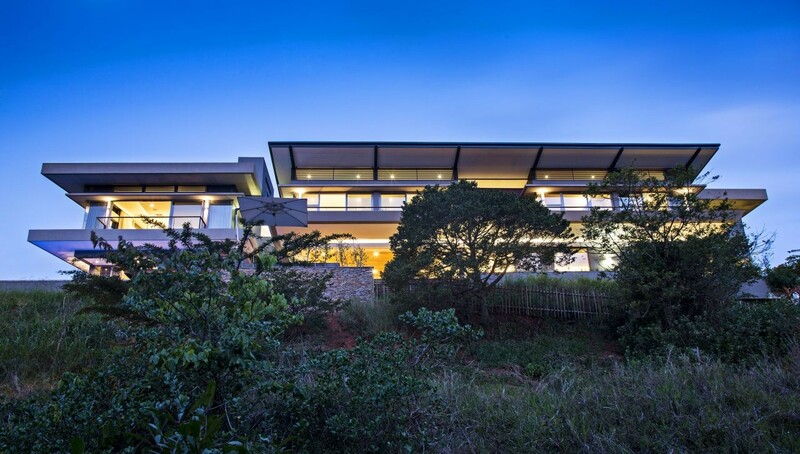 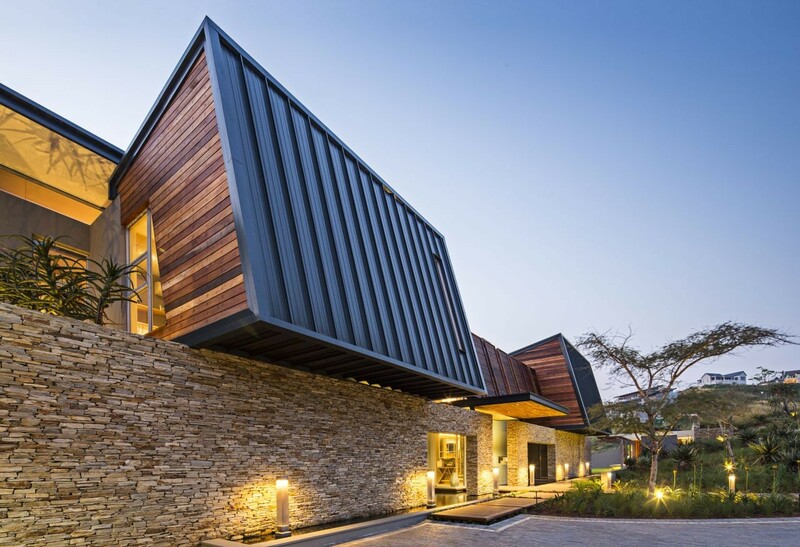 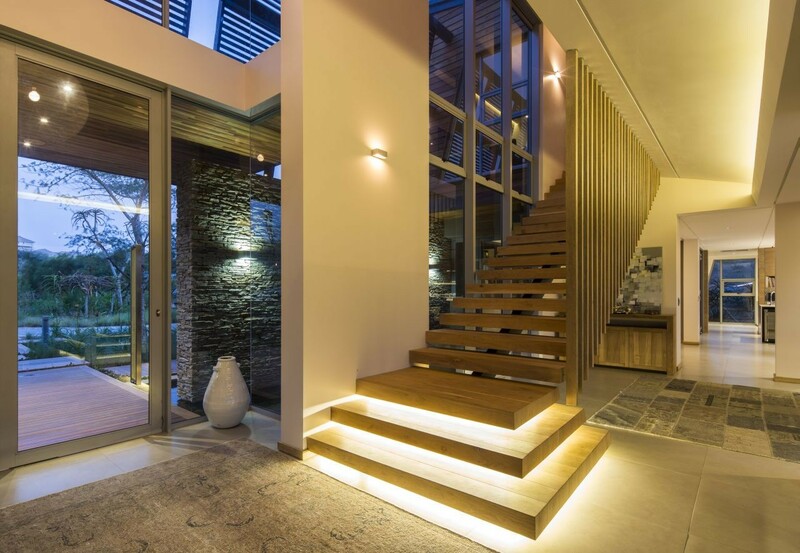 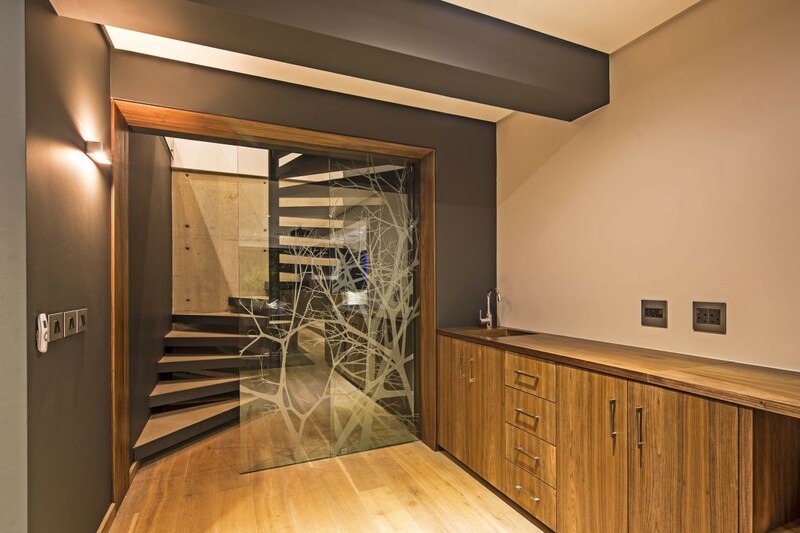 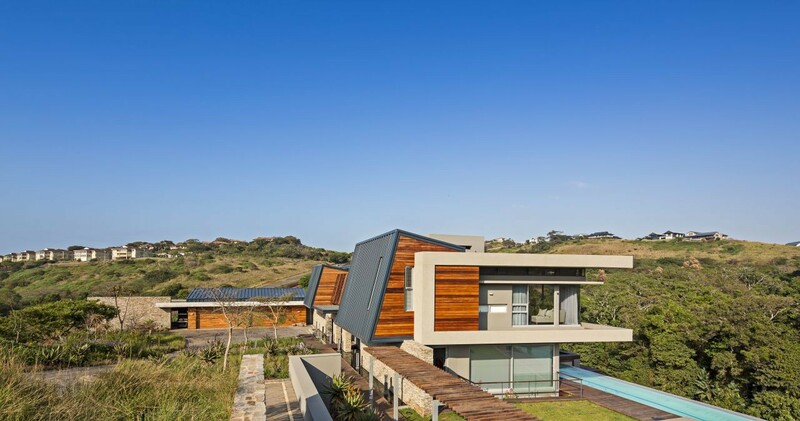 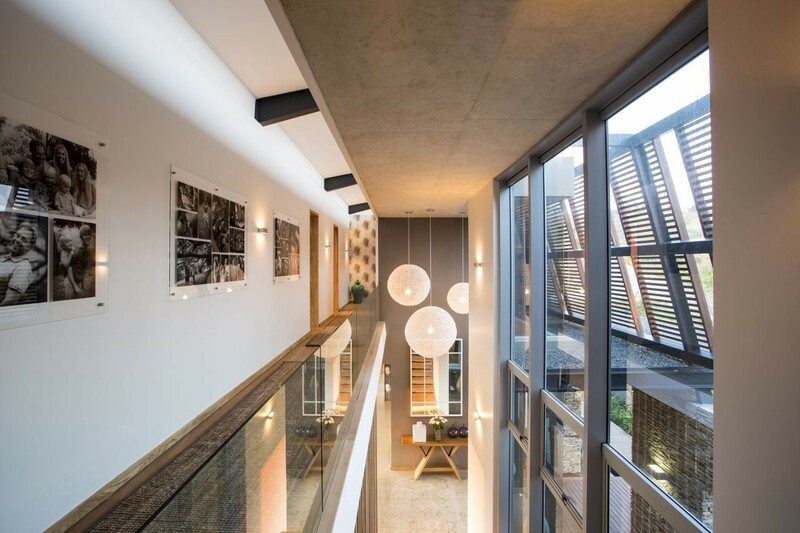 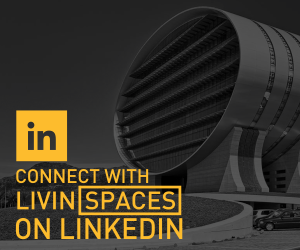 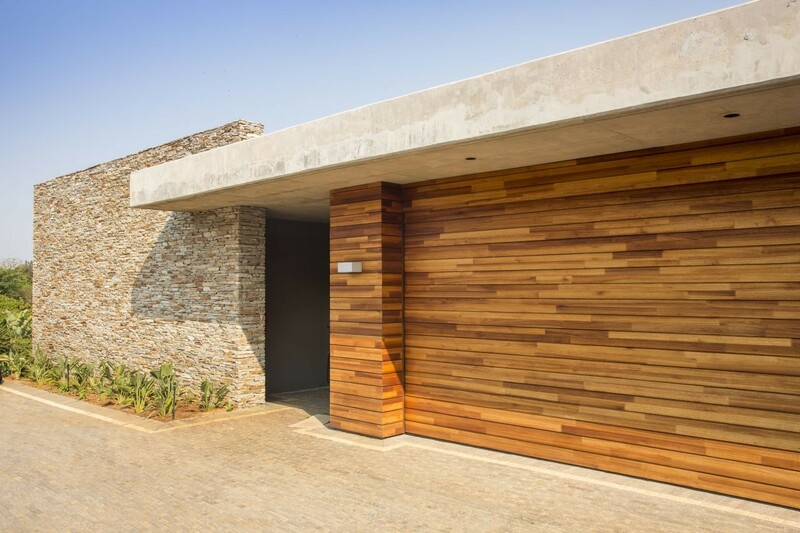 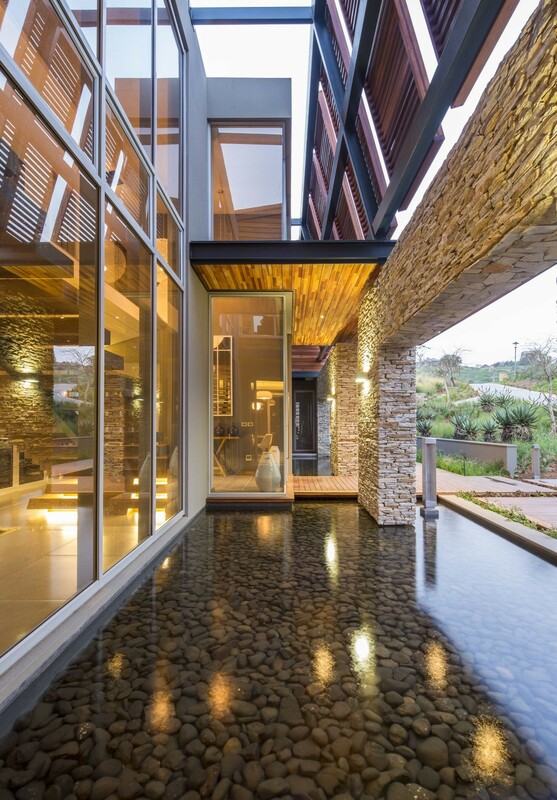 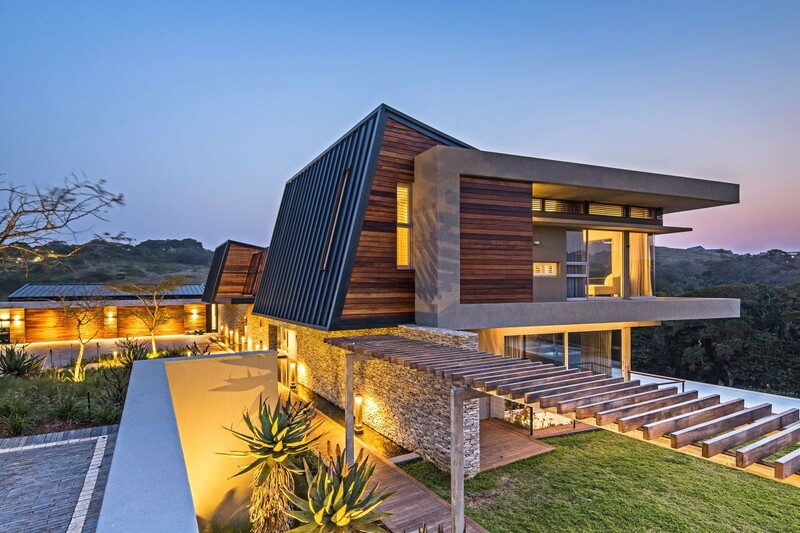 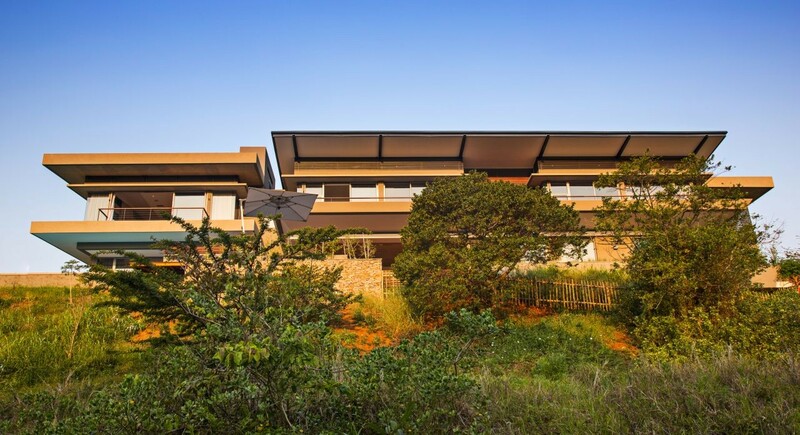 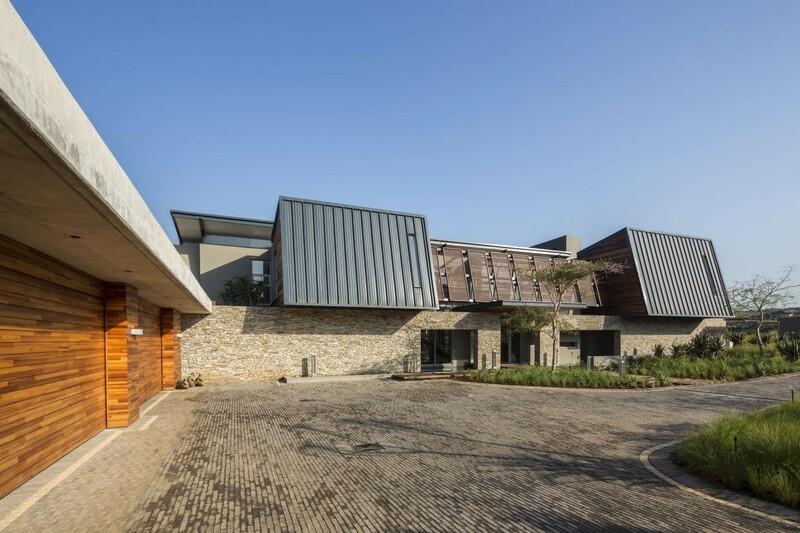 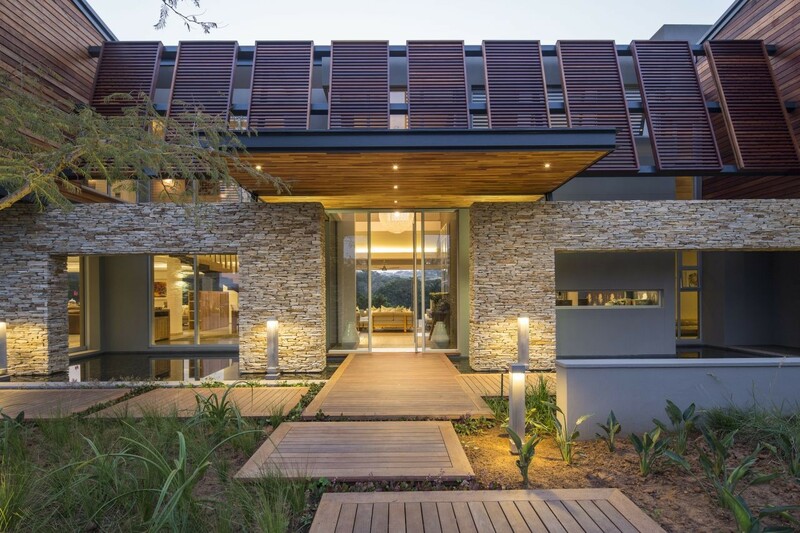 Located in Simbithi eco-estate, the 1000sqm+ home features a bold, somewhat concealed approach facade of stone, steel and wood, that opens up into a contrasting open plan living area, with a distinctive indoor-outdoor component. 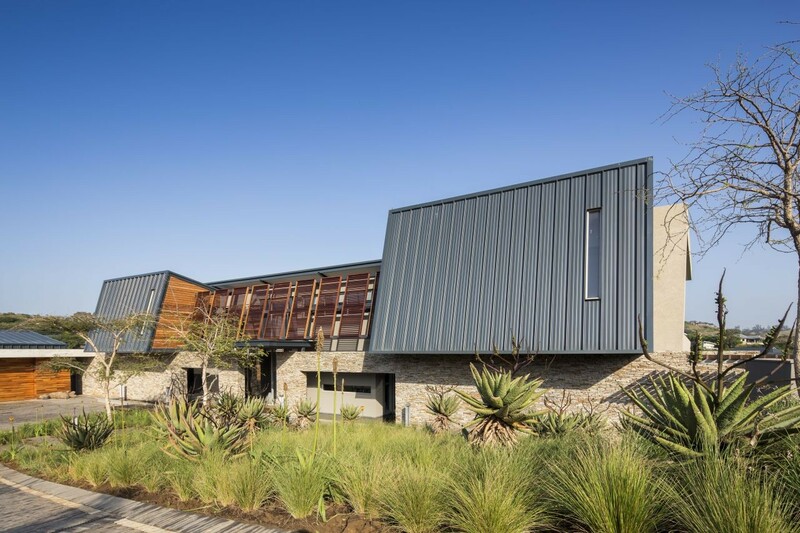 The home also features tropical/arid-style landscaping as well as still water features, extensive timber decking and an elegant swimming pool. 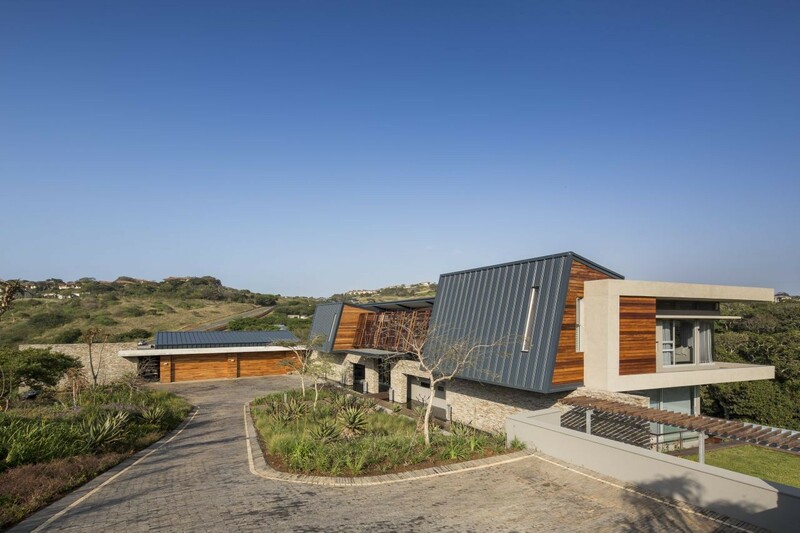 We were commissioned to design a contemporary family home on a one acre site, situated at the end of a spur, in Simbithi Eco-Estate. 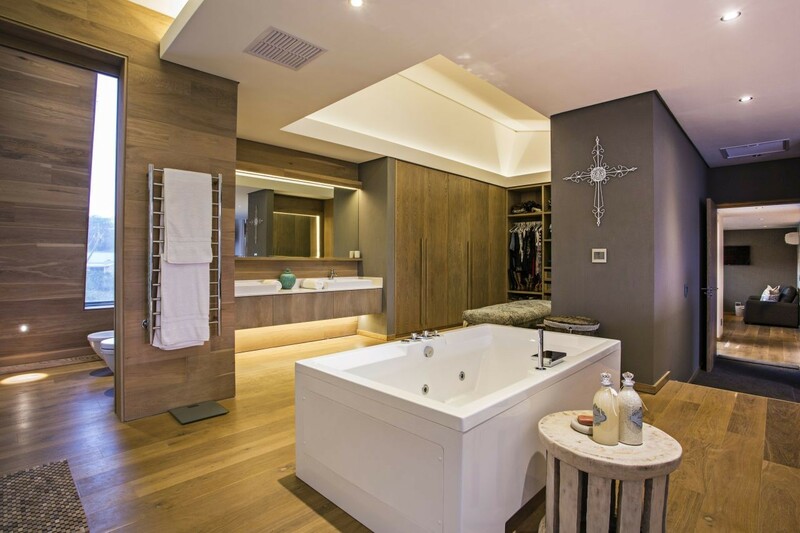 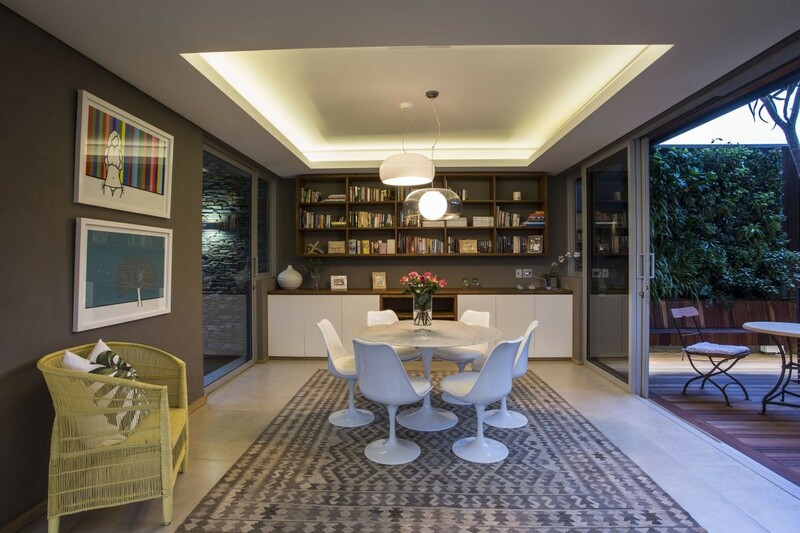 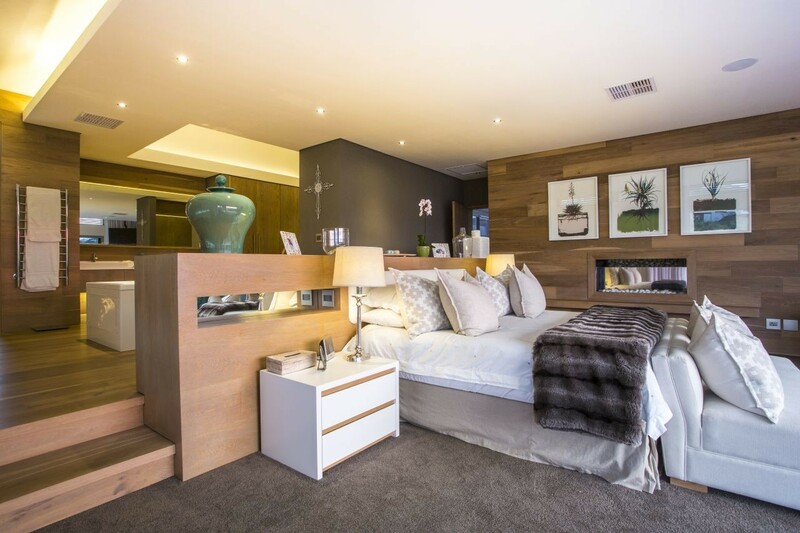 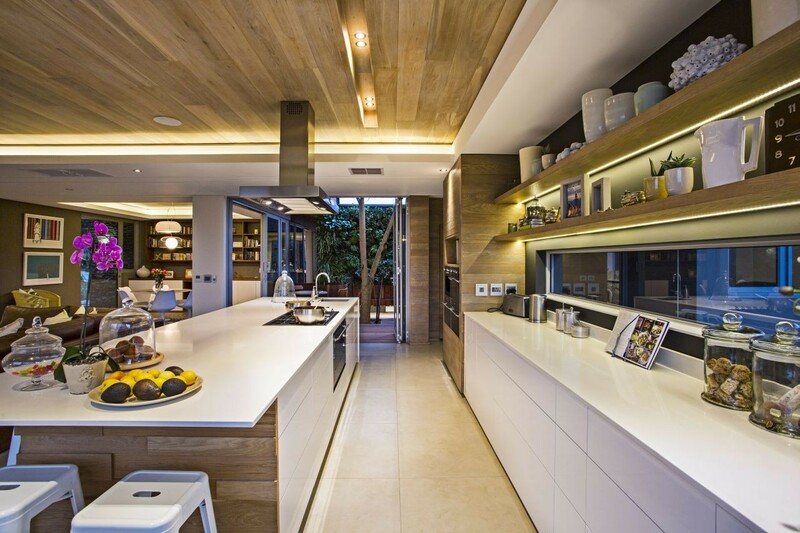 The client’s brief called for a home with an overriding sense of simplicity but with a high degree of sophistication. 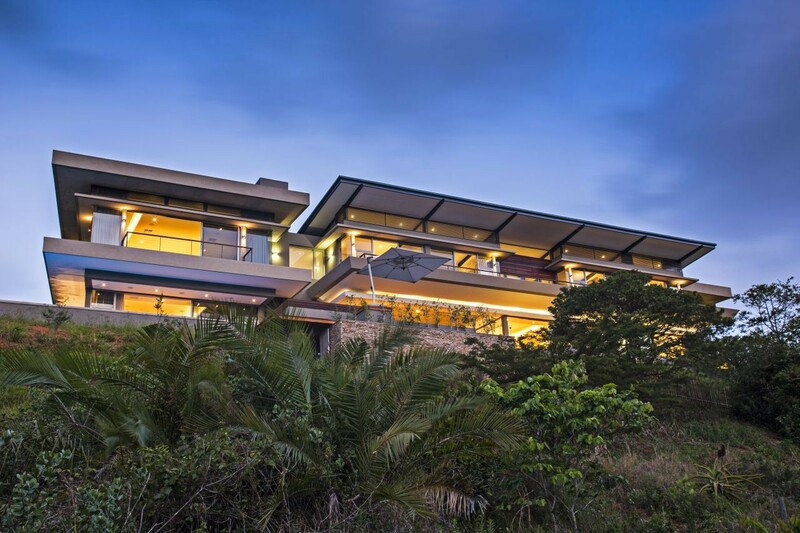 All the living areas and bedroom suites face onto a panoramic vista, which includes a dense forest down-slope from the house. 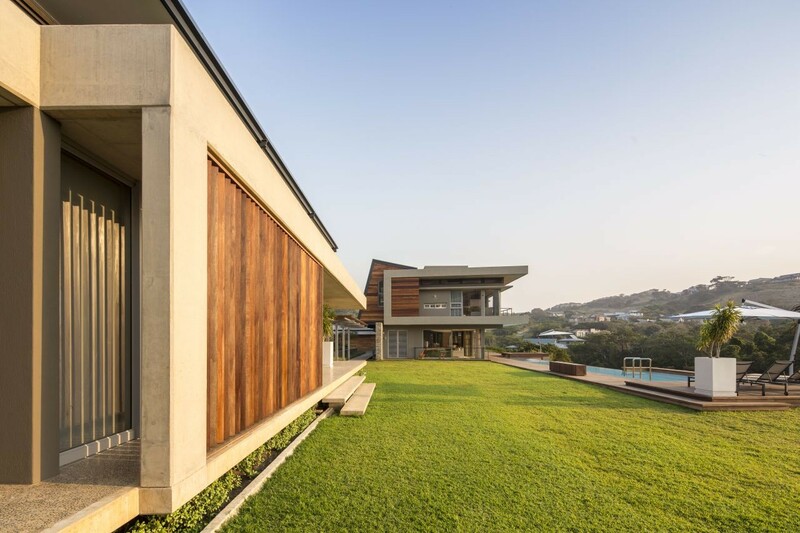 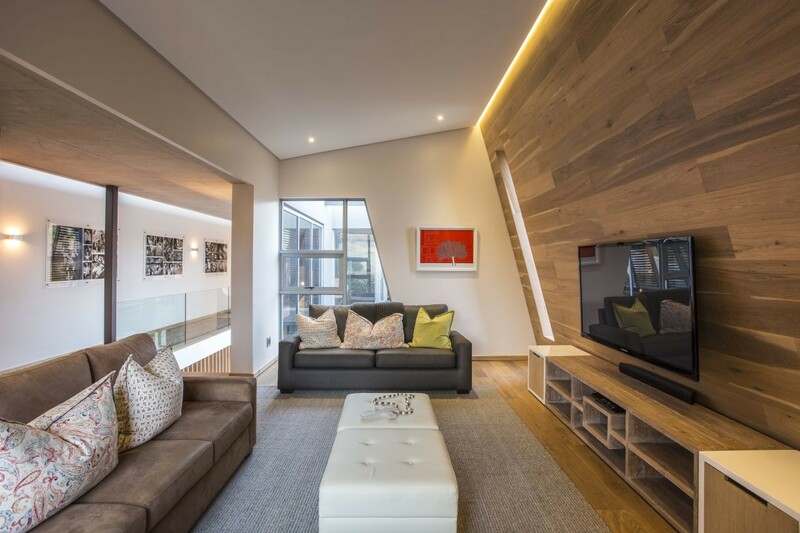 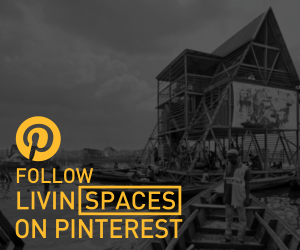 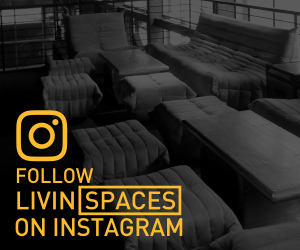 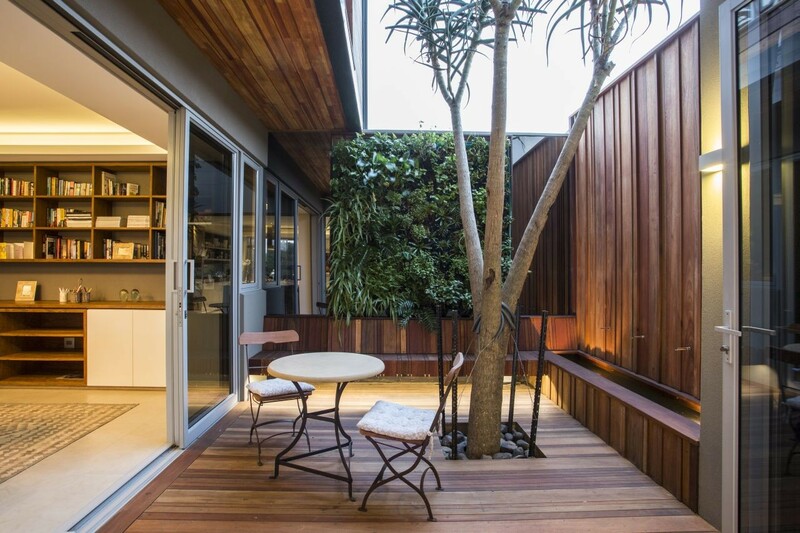 The palette of natural materials including timber screens, decking and cladding, off-shutter concrete and stone cladding juxtapose with the aggressive architectural form making, creating a home that is not only visually and spatially exciting, but also comfortable and intimate. 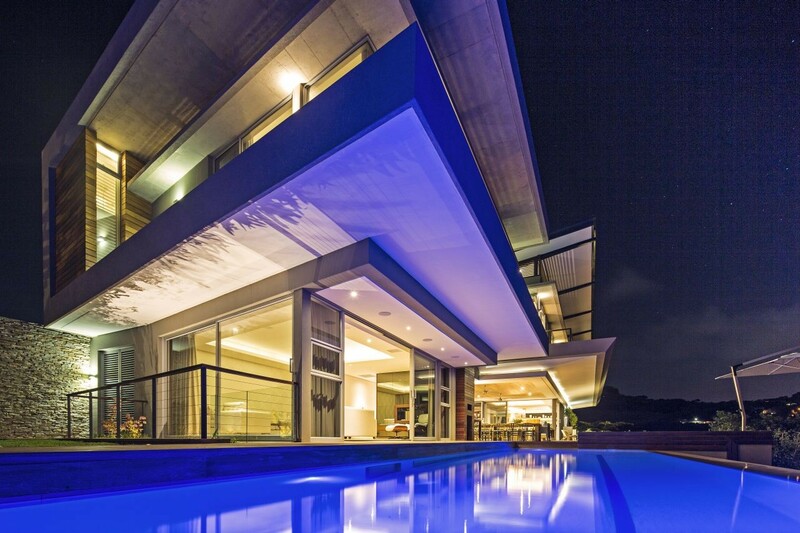 The extensive use of water in the design of the home includes a 25 metre lap pool with a glass panel between the water and the basement cinema room, and a shallow but expansive reflective pond on the approach side, which mirrors the building day and night, and evokes a sense of tranquility. 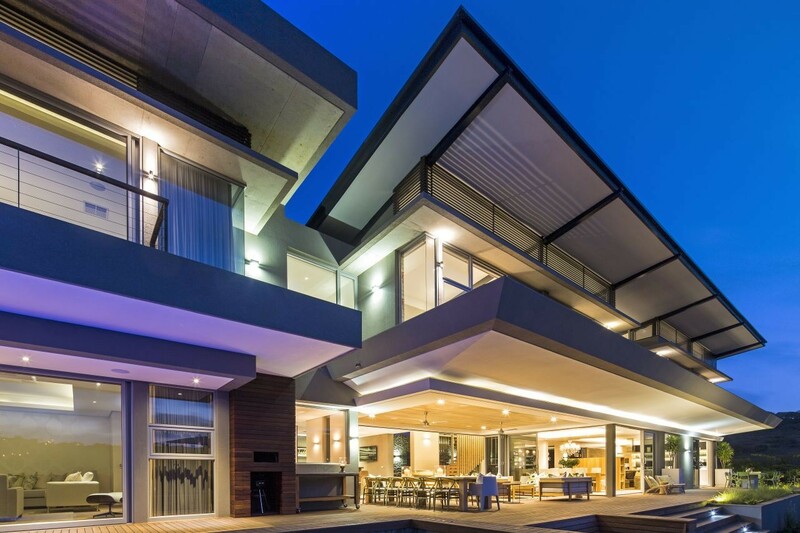 ‘Googie’ architecture is a form of modern architecture and a subdivision of futurist architecture with stylistic conventions influenced by, and representing 50’s American society’s fascination and marketing emphasis on futuristic design, car culture, jets, the Space Age, and the Atomic Age. 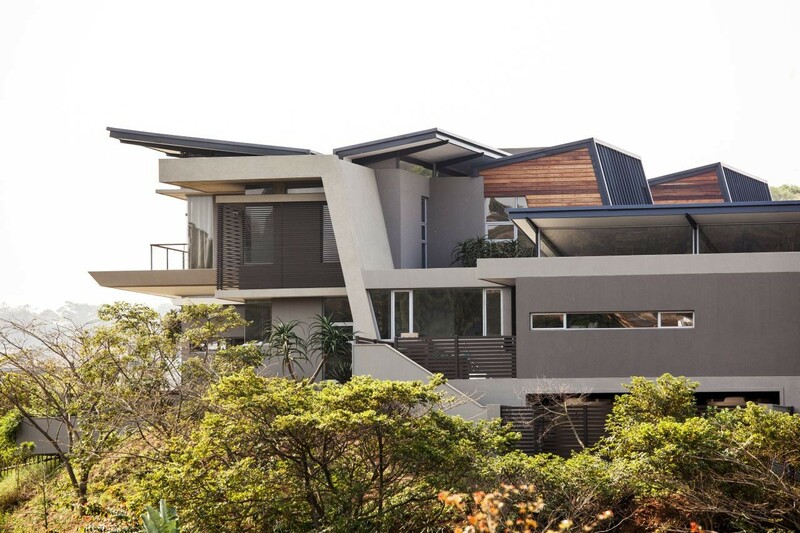 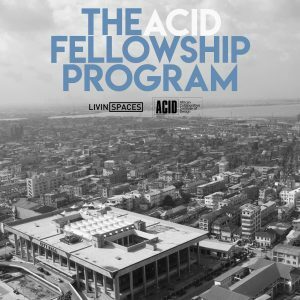 ‘Googie’ was also characterized by design forms symbolic of motion, including upswept roofs, curvaceous geometric shapes, and the bold use of glass, steel and neon, the spirit of which is embodied in Albizia House.